In this WordPress guide, you will learn how to create a custom navigation menu in WordPress. 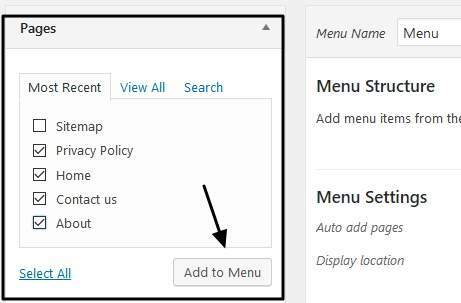 Almost every WordPress themes allow users to add a menu to only one location on their site though if you’re using a Premium theme you may add custom menus to multiple locations. 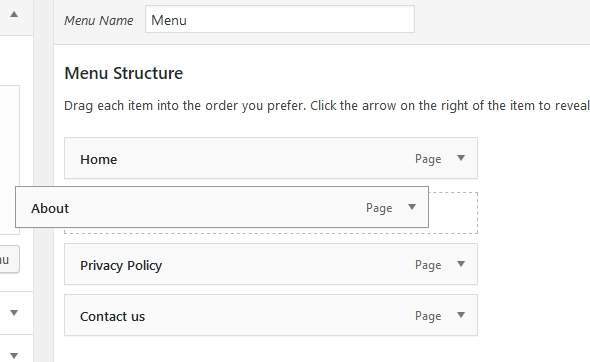 Creating a navigation menu is easy in WordPress. we will show you, how? First, you should know that a custom menu can improve your site structure. A navigation menu is placed at the header location of any theme. Even at this website “HowToArtice”, you can navigation menu items at the top. You can do the same on your website. Moreover, you can add important pages, categories, and custom links to a navigation menu. 1. 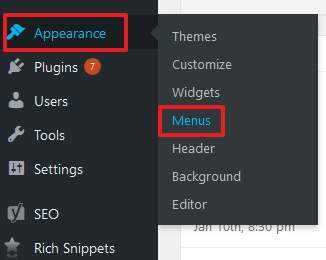 To create a custom menu, login to your WordPress dashboard and go to Appearance > Menus. 2. This will take you to the Edit Menus screen. Enter a menu name and click Create Menu button. 3. Now, you have to add items to your menu. As you can see in the left column (see screenshot below), you can add pages, posts, custom links and categories as a menu item. First, we will show how to add pages to a menu. Click on Pages and select the page which you want to appear in the menu. Click Add to menu. If you want to rearrange the order of the menu items, just drag and drop them accordingly. After doing this, select the menu location to Primary or Top to add the menu to the navigation bar and click Save menu. Similarly, you can add posts and categories to menu items and arrange them to your desired position using the same drag and drop technique. What if you want to add a link to an external website or your facebook or twitter profile? This can be done using the custom links option. Click on the Custom Links option in the left column. 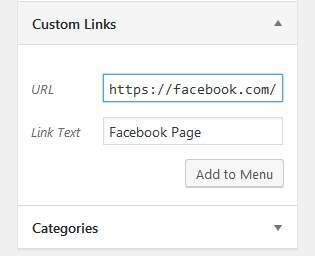 Add the link you want to add in the URL section and in the Link Text field add the text which will appear in the menu. Click Add to Menu. I hope u this tutorial helped you to learn how to add a custom navigation menu to your WordPress website. If you have any doubt, please ask them in the comments below.